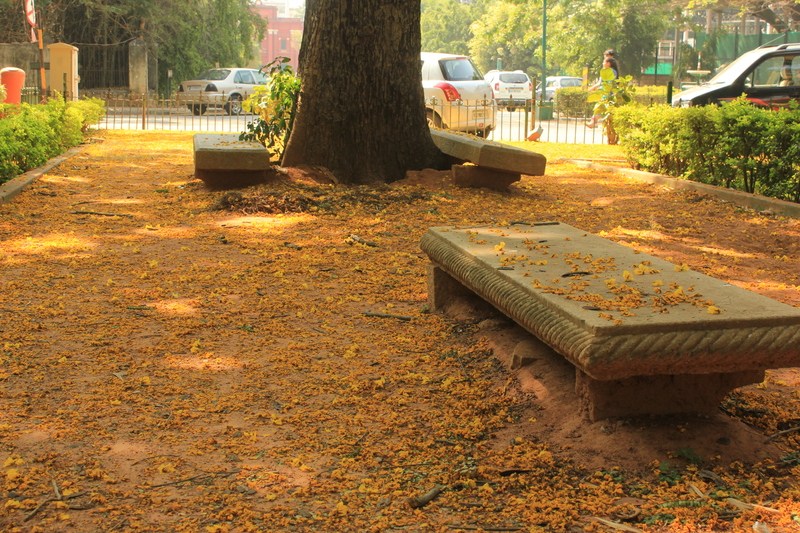 An unusual silence envelops the bougainvillea tree. 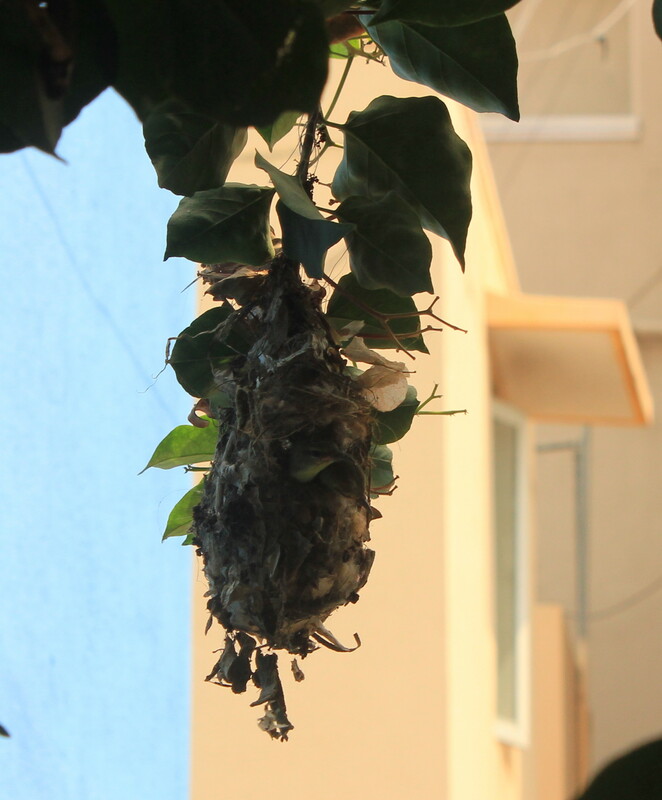 All the sunbirds have flown away to (I guess) another neighbourhood. Just the other day, they were prancing about merrily on the branches and the babies were being fed so meticulously by the parents. How much I enjoyed watching them. Wonder why they moved house. 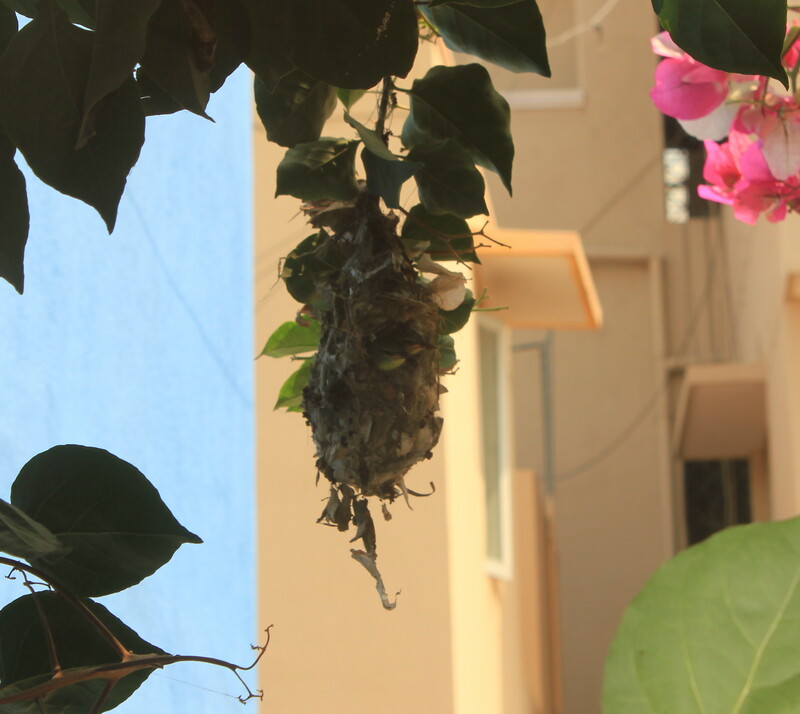 Perhaps such moves are characteristic of sunbirds. Sigh! And what was once the busiest house in the neighbourhood has suddenly been reduced to a pendulum- like-accessory swaying more than ever to the gentle breeze. 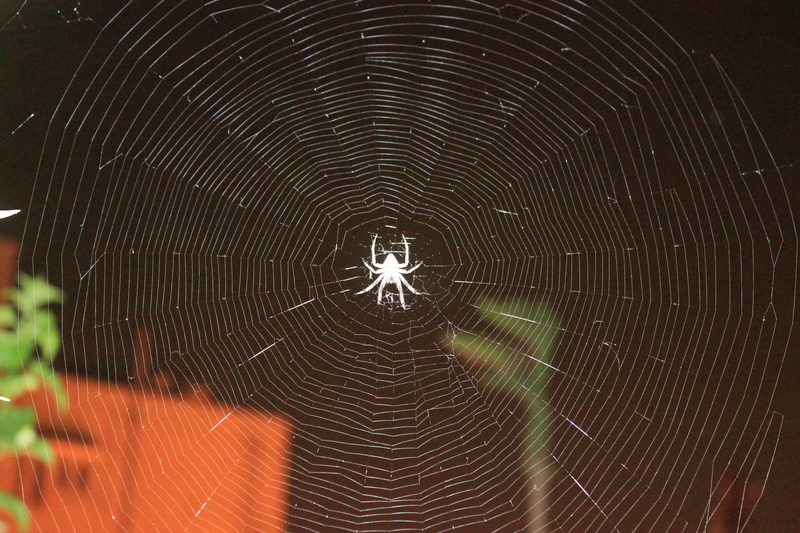 But this large spider who has built an enormous web in the vicinity must be one happy fella. 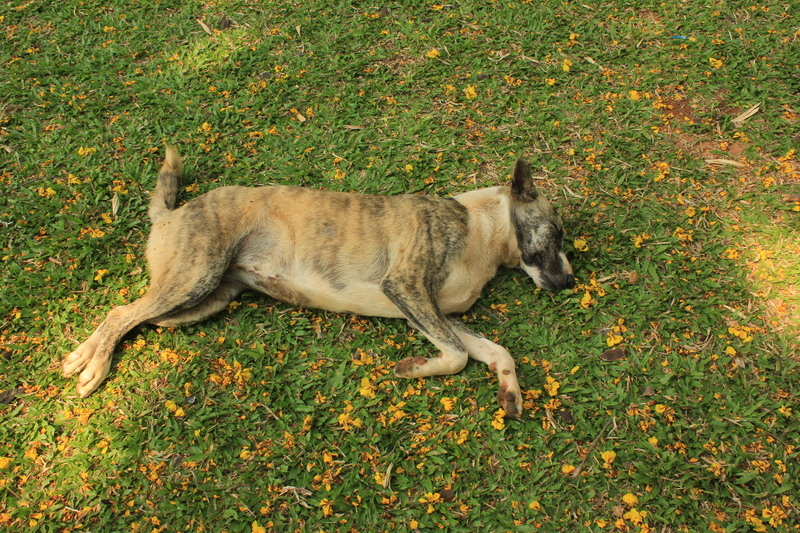 If the sunbirds were still around, he would have most probably landed on their dinner plate. And like all cobwebs, this one is a great work of art. Hats off to you Mr Spider! 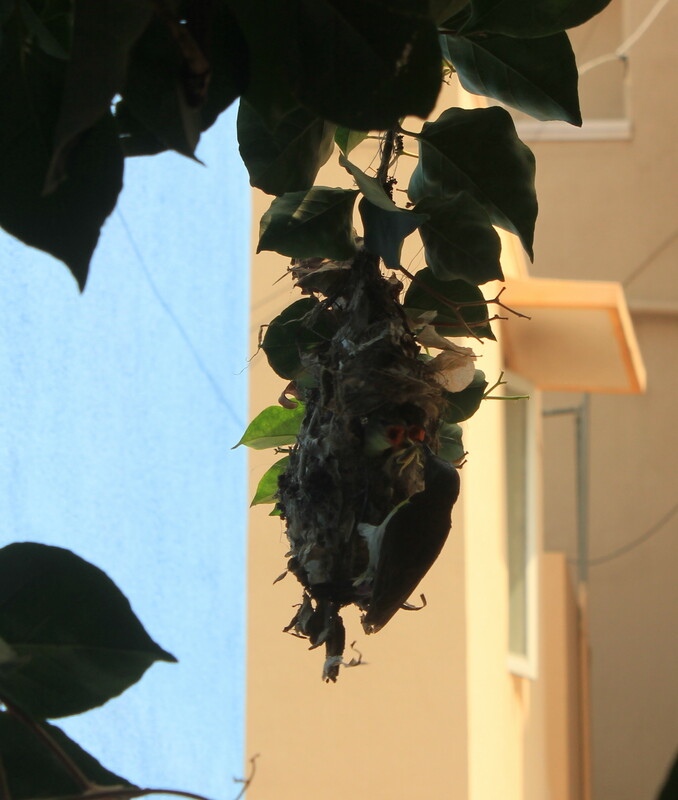 The sunbird’s babies have grown up. There are two of them. One seems to be older than the other. 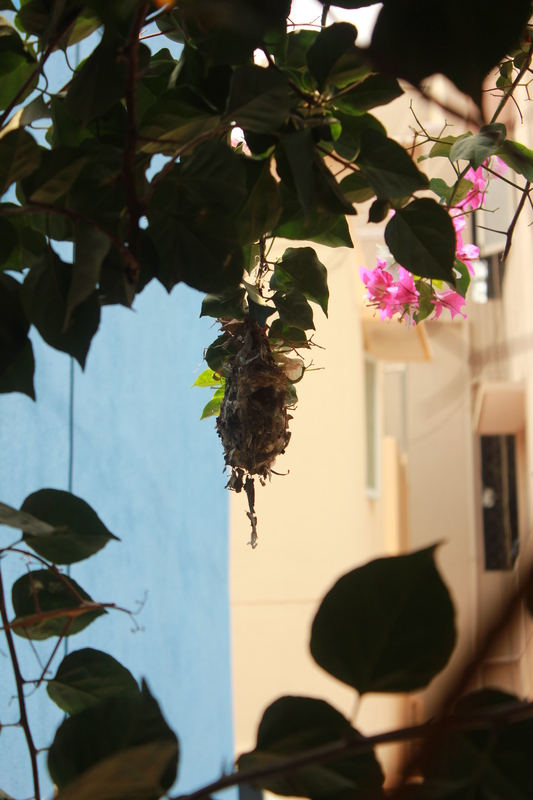 The two fledglings are always sticking their heads out. Awww! Overload of cuteness! I can see them perpetually move their beaks. Now and then they put their tongues out and retract them at great speed. The tongue is quite long and looks whitish from a distance. 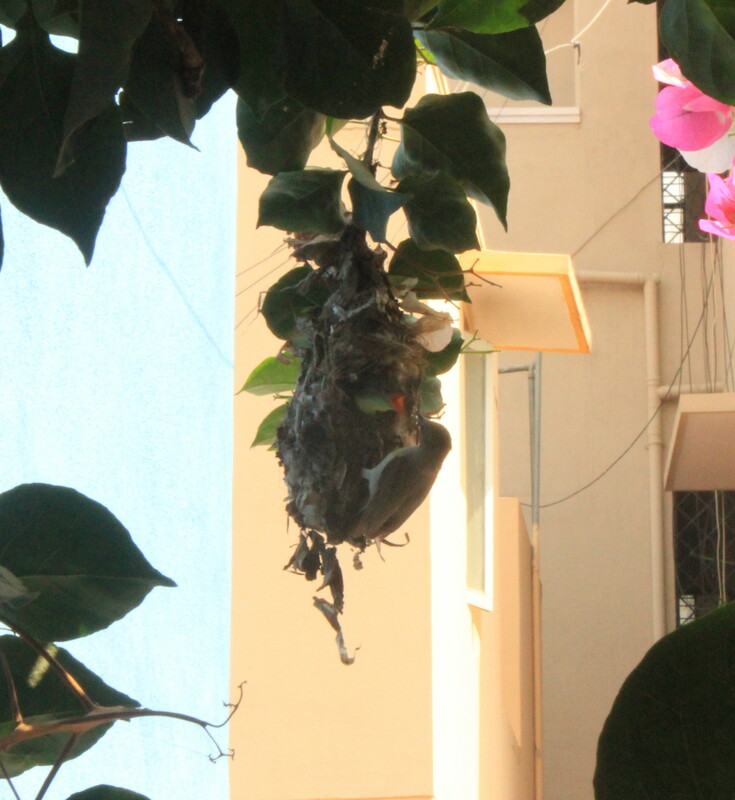 Mamma bird is working hard. 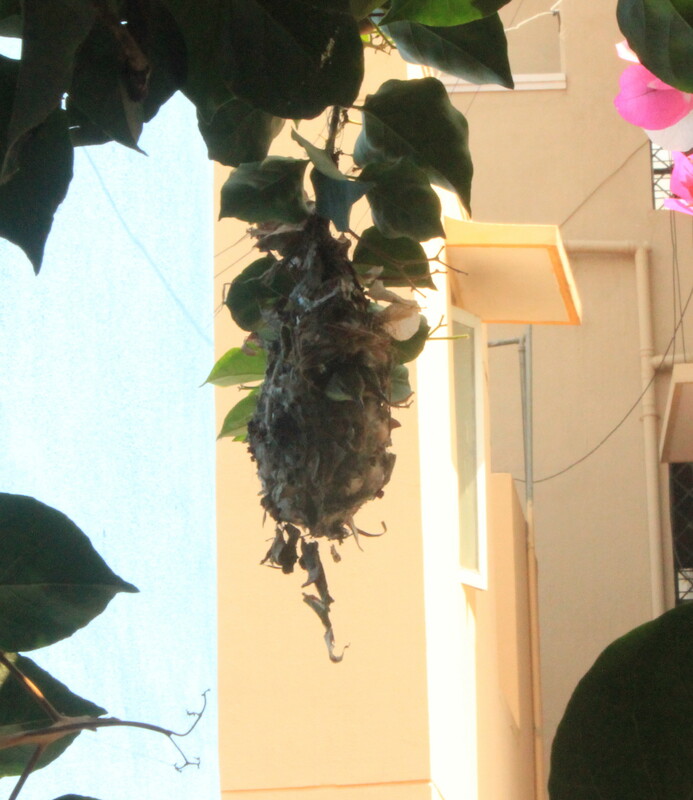 She is making frequent trips to the nest to feed the little ones. On a couple of occasions I noticed Pappa bird chipping in with his contributions. They are one sweet family! Cheewit cheewit … cheewit!! 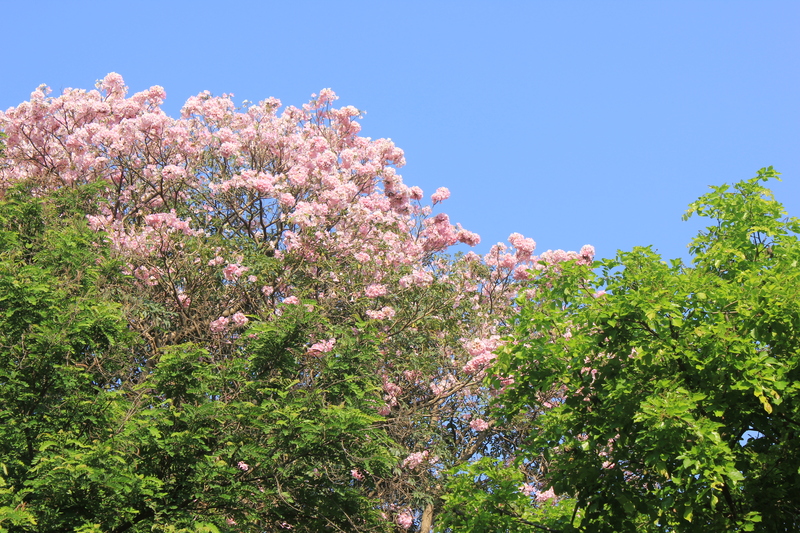 The Garden City is blushing pink with the Tabebuia Roseas (also called Pink Poui) in full bloom in most parts of the city. 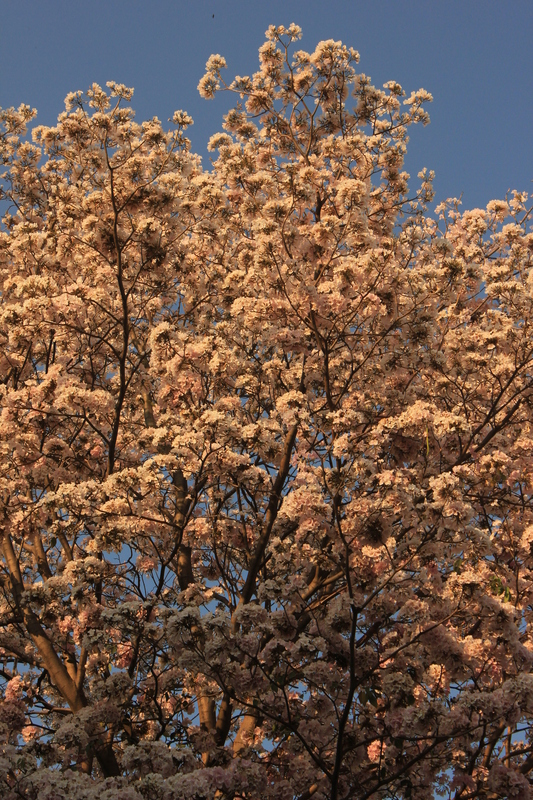 I noticed that unlike its cousin Tabebuia argentea (the Tree of Gold), the Tabebuia Rosea is hardly seen in parks. 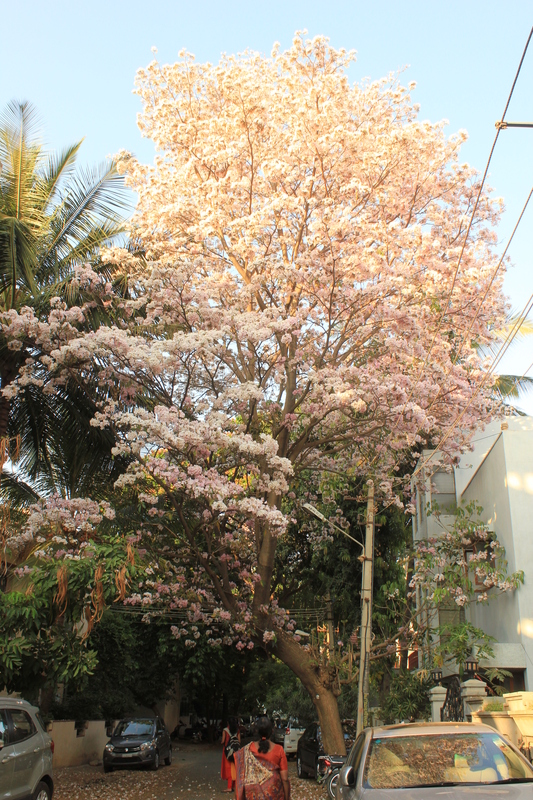 A majority of these tall and beautiful trees are seen in residential localities and on footpaths of main roads. 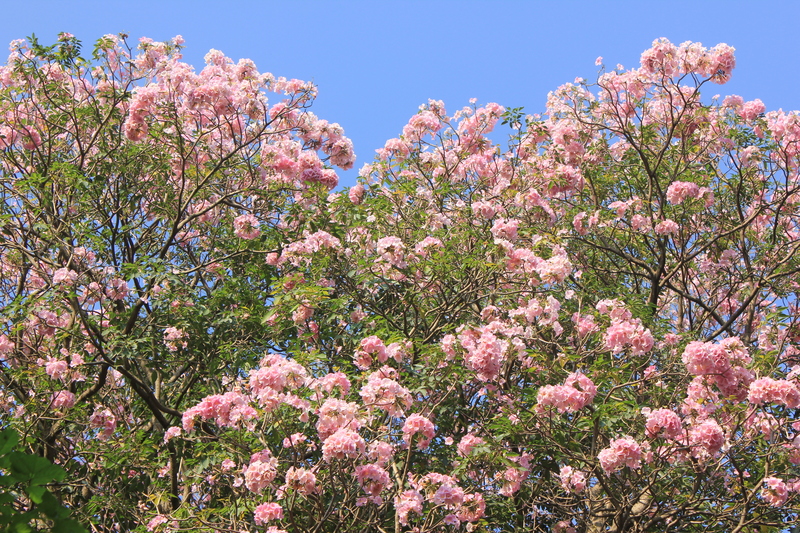 Like the Tree of Gold, the Pink Poui is a sight to behold when it flowers. 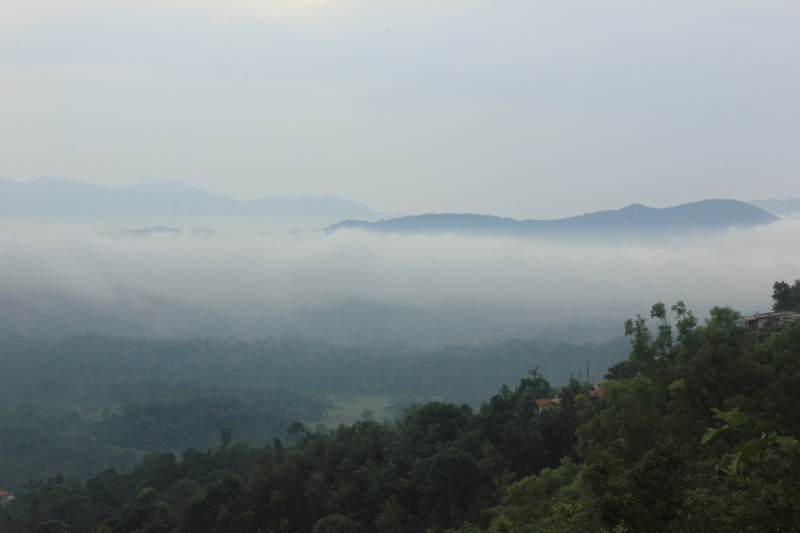 I spent a good part of the last weekend in quest of these splendid creations of Nature. 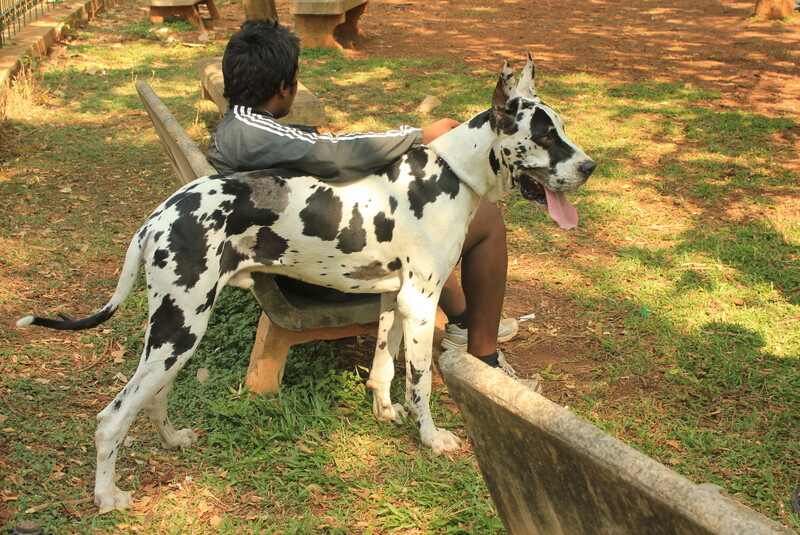 I was told there are a good many of them in Domlur and Indiranagar. 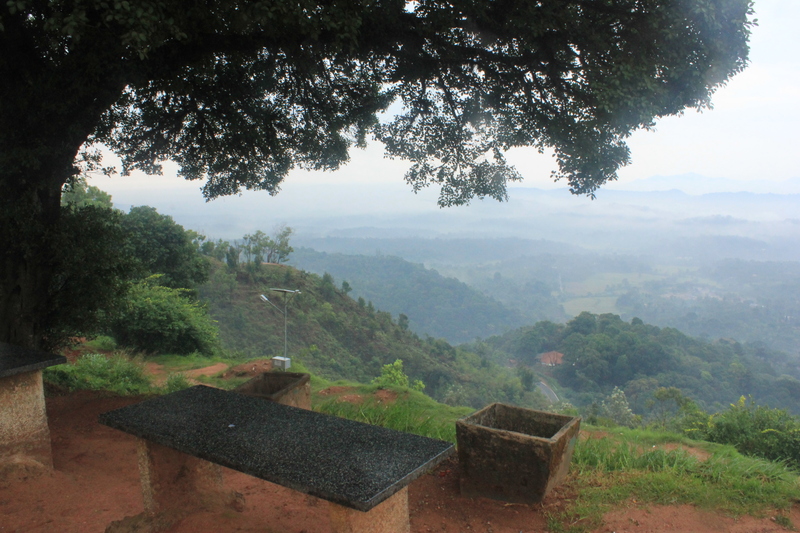 When I did find these trees on Saturday evening it was simply one of those wow moments. 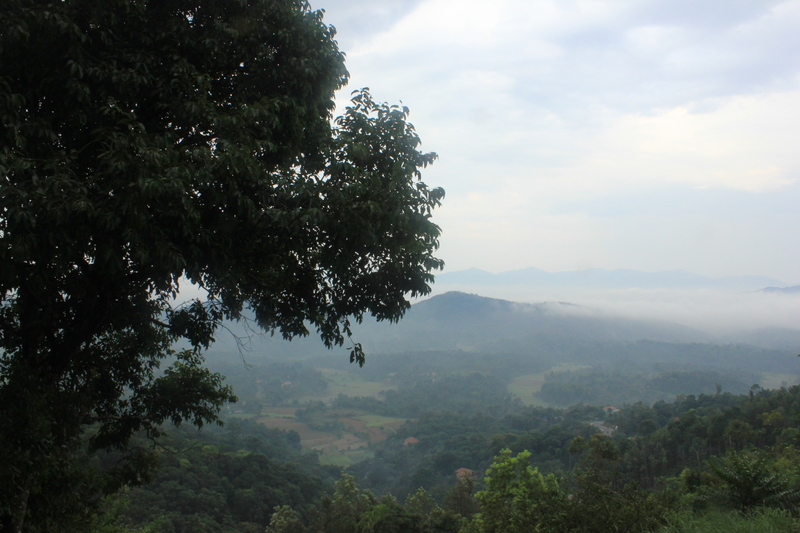 I was awestruck! It was also raining pink under the trees. 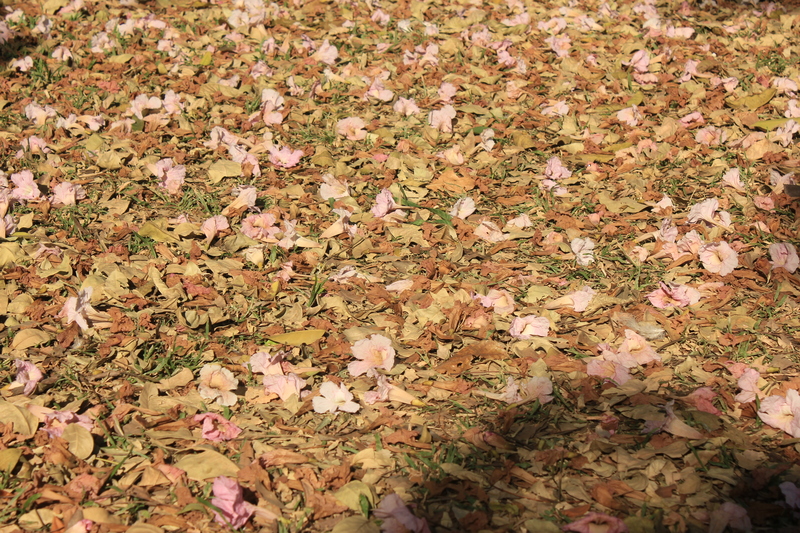 The flowers that had fallen on the ground had created a pink carpet. 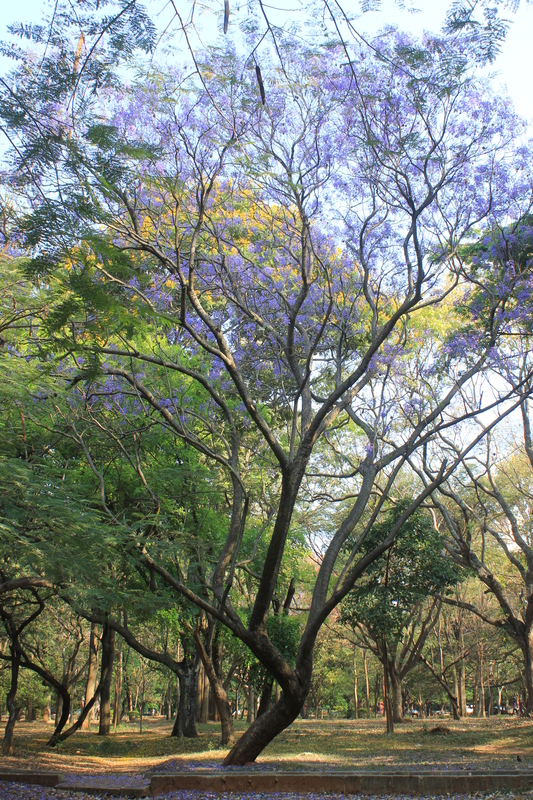 The Copper Pod tree (Peltophorum pterocarpum) is also in bloom. 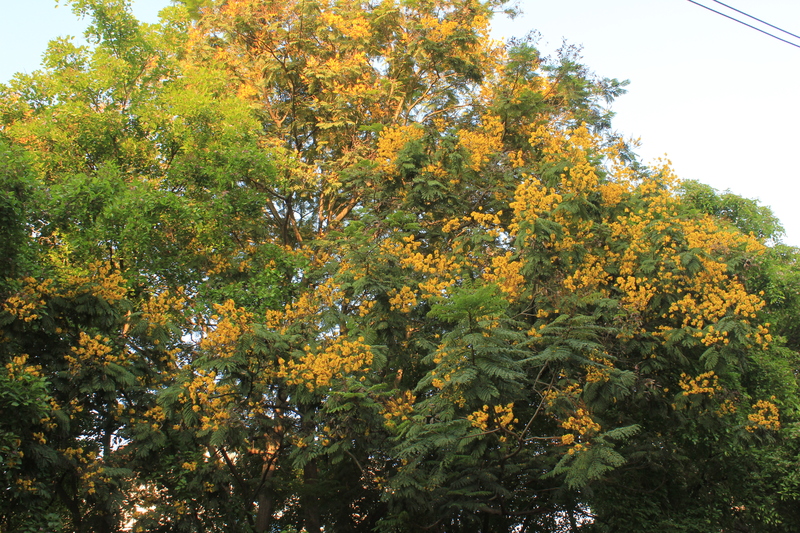 But unlike the Tabebuias, the Copper Pod when in bloom is not completely leafless and as such the magical yellow effect is not so stupendous like that of the Tree of Gold. 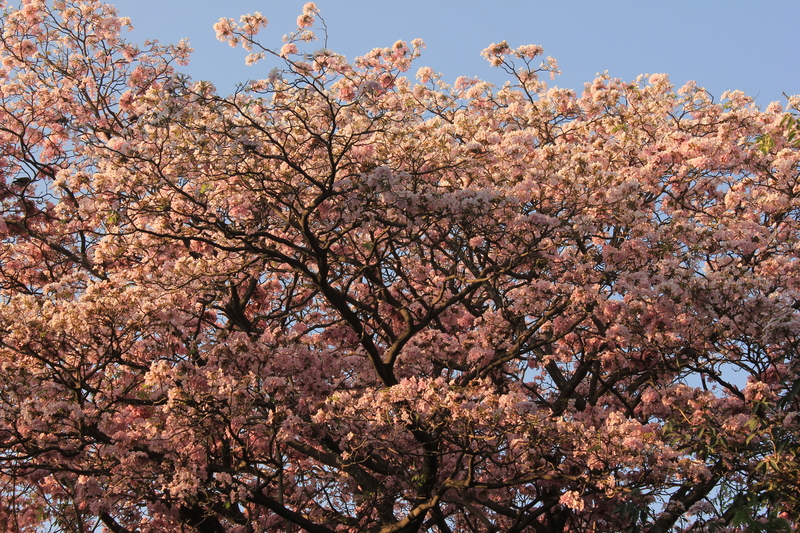 As if this out-of-the-world effect was not enough I decided to head to Cubbon Park early Sunday morning in quest of the pink beauties. Sadly, there weren’t many. 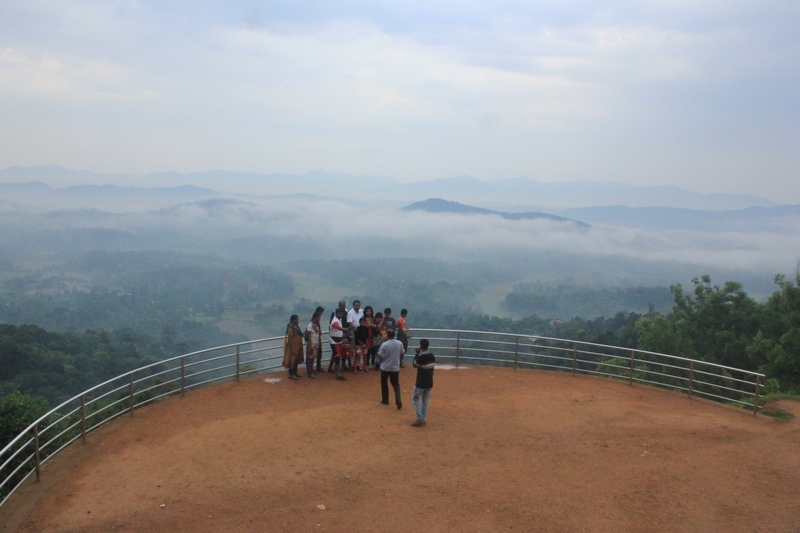 Photographing them also proved difficult because they were in the midst of other trees. 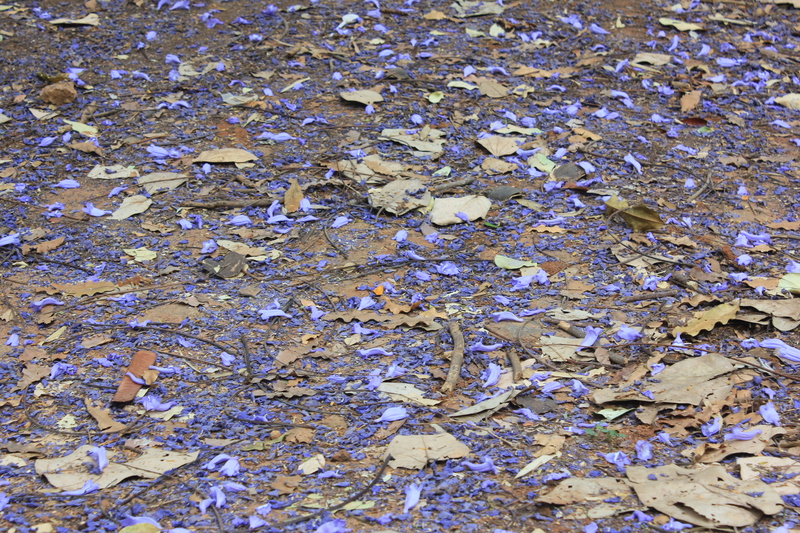 I managed to take a not-so-bad picture of the Blue Gulmohr (Jacaranda mimosifolia D. Don.) though 🙂 . 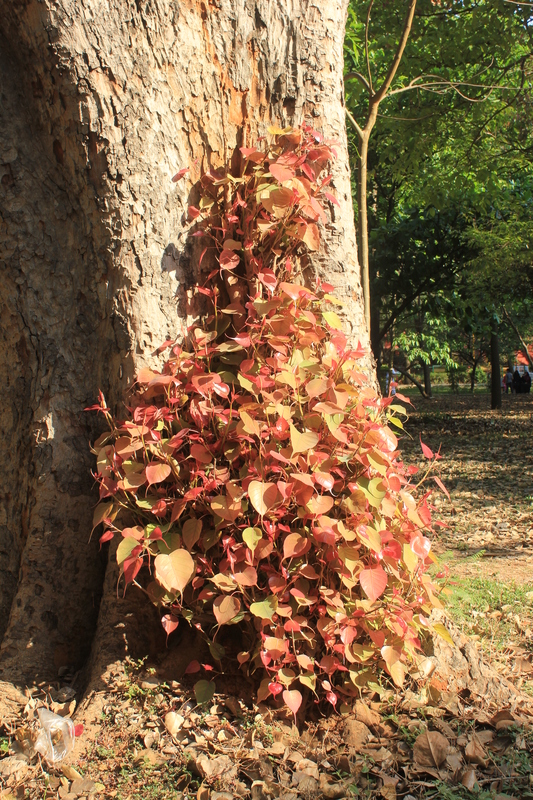 I never knew that the leaves of the Pipal take such a hue till I saw this one. 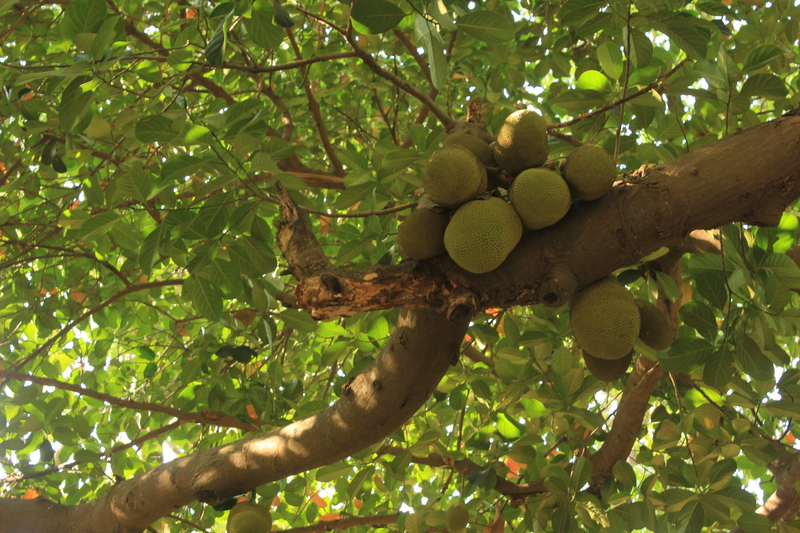 A Jackfruit tree laden with fruit made me feel hungry. Sigh! 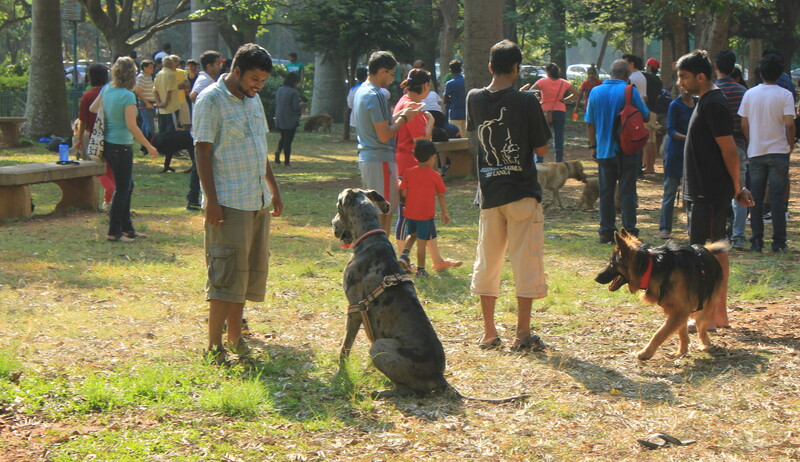 The Silent Lady of Cubbon Park was there with her canine companions. The newly conceived Sunday morning Dog Park was bristling with activity. 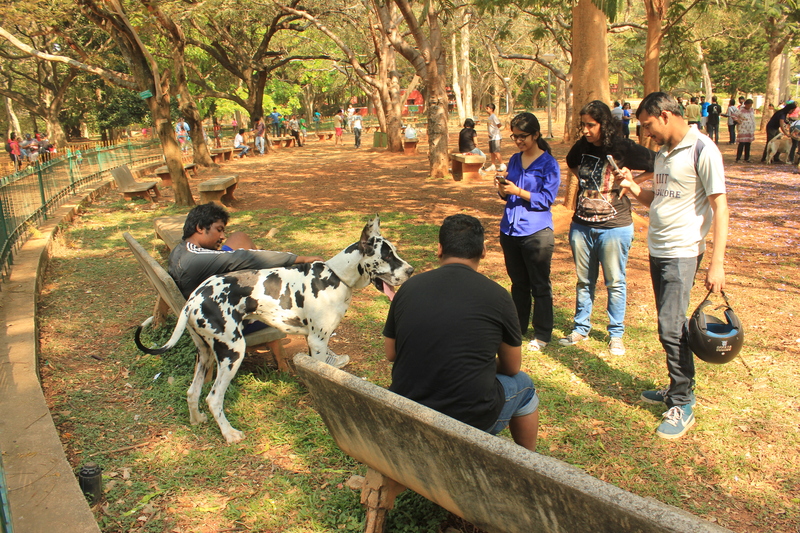 A piebald Great Dane was the cynosure of attention with both dogs and humans making a beeline towards him. 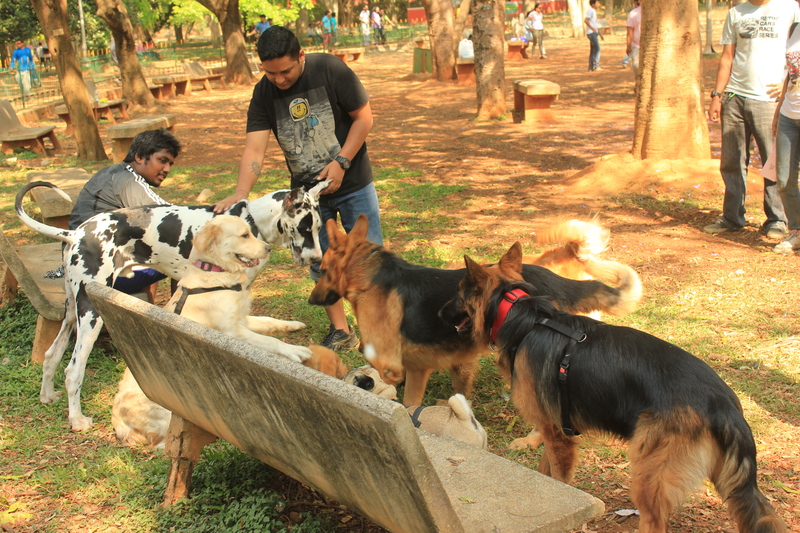 It was fun watching the pet owners and their furry buddies basking in the golden sunshine. 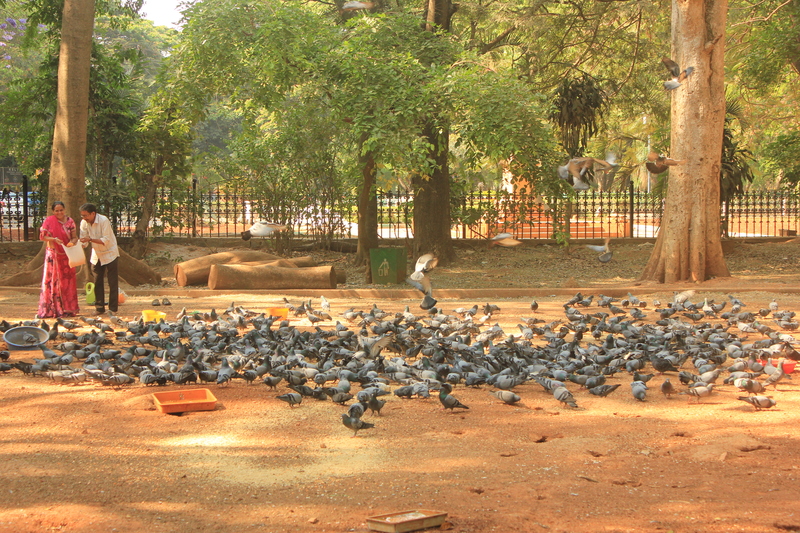 A stone’s throw away, a couple was feeding bagfuls of grain and water to pigeons. 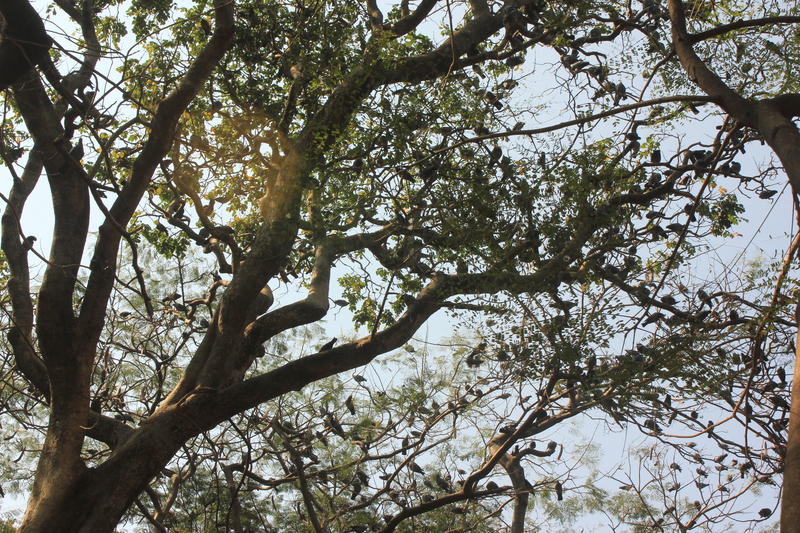 It was only after some bird poop landed on my hand that I realised there were hundreds of birds roosting on the tree top too. 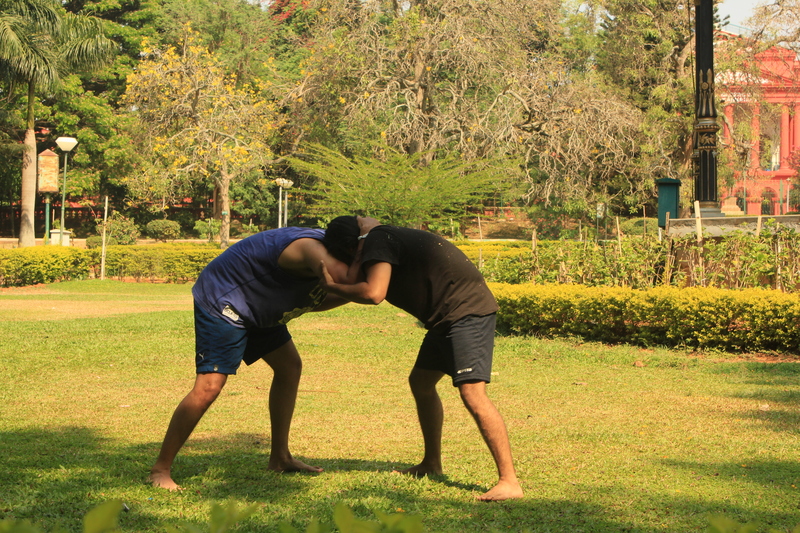 As I walked on, I noticed these two men locked in a dual. They were practicing some kind of martial art. A yoga class was underway on the lawns. 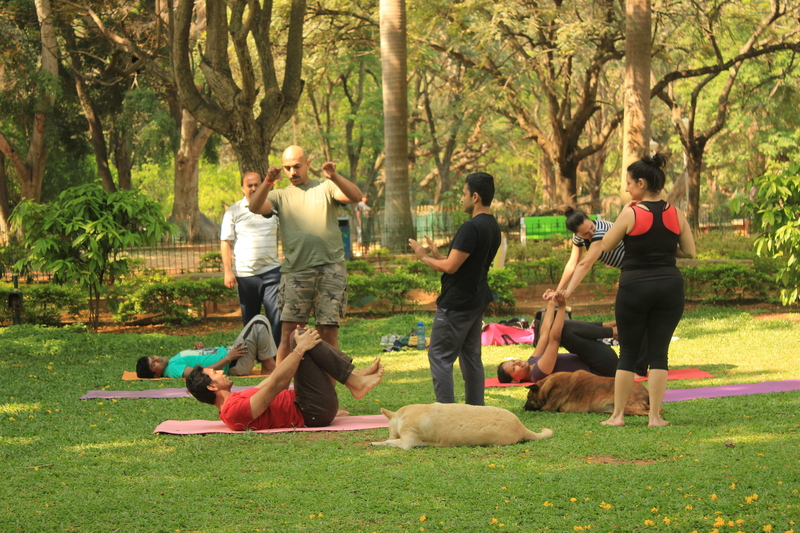 Two dogs had made themselves comfortable amidst the yogis and yoginis. The guru didn’t mind and the shishyas too. How sweet can that be! 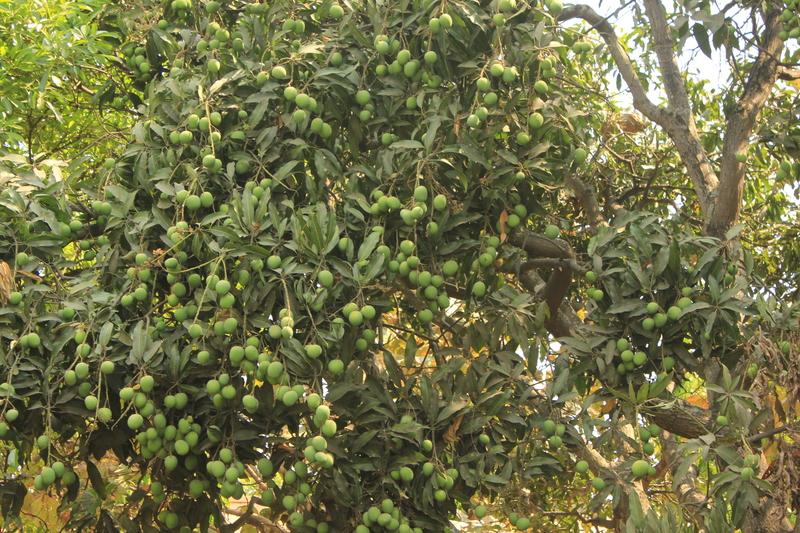 On my way to the Metro Station I noticed this mango tree laden with fruit. I thus ended my Sunday morning on a fruitful note (pun intended).